Almost on our doorstep is one of Northern Irelandâ€™s leading clinics specialising in Cosmetic, Plastic and Reconstructive surgery. 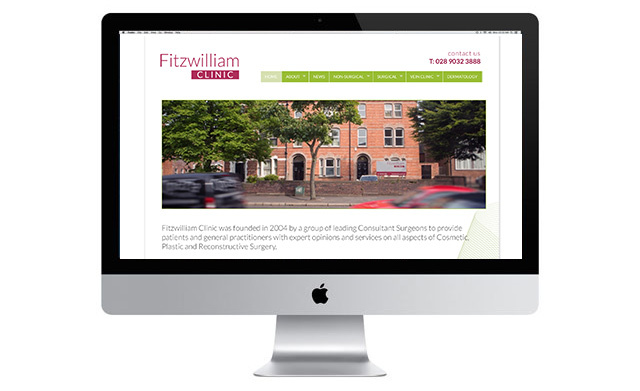 The Fitzwilliam Clinic (Lisburn Road, Belfast) was founded in 2004 by a group of surgeons whose aim is to provide patients and practitioners with an unparalleled service across their specialist fields. Recently, we were tasked with updating the Fitzwilliam Clinicsâ€™ website and bringing it in line with the newly updated branding (also designed by us) ensuring that the site became much easier to navigate and in keeping with the new contemporary branding. The new website has been extremely well received by all stakeholders of the clinic and I know youâ€™ll agree, the new site, looks fresh, clean, professional and inviting. All the things a high end clinical surgery should be. Visit the newly designed website please visit: http://fitzwilliamclinic.com. If you have a web design or graphic design project you want to discuss with our team, please do get in touch. Weâ€™re based a mile from Belfast City Centre, so are easy to find and easy to visit. Drop us a call on 028 9002 2474 before you visit though. 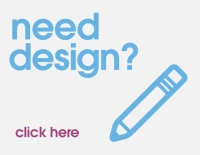 We want to make sure the right designer for your business is free to chat through your project.